Confession: I’ve had this song running through my head for the past few days…and yes, it’s (slightly) before my time. Why have I been thinking about this? 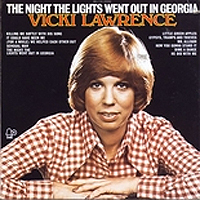 Not because Vicki Lawrence (or her Mama’s Family alter-ego) made an appearance in my office. And not because I was training one night in Georgia, or “hung an innocent man”…but the lights DID go out the other day at the day job (in Indiana). I was leading a small session for about 5 people in a conference room. A conference room with no windows, I might add. My slide deck was projecting beautifully and we had just kicked off a discussion, when the lights inexplicably went out. At which point, I realized there was no reason a little darkness should prevent us from continuing our discussion. So, by the light of a few laptops, we soldiered on with our topic. We made the best of it until the lights came back on about 10 minutes later. I never did hear what happened to cause the power outage. Things happen, amiright? Power goes out. Flights get delayed. Markers dry up. Conference rooms get double-booked. Internet connections disconnect. And about 1001 other things. My point? Don’t sweat the small stuff, friends. If some minor catastrophe hasn’t happened to you at some point in your career…just wait. It will. 1) Know your stuff, inside and out. If you are reliant on your notes or slides to get through your content, then you don’t know it well enough. Your visual aid should be an asset to your presentation, not the primary focus. As the presenter, you should be comfortable enough with your material to speak to it. Could you deliver your content in a dark room? Use that as your benchmark, if you like. It worked for me! 2) The more worked up you get, the more worked up your audience will get. Like I said, things happen. Your audience knows this, and will often be understanding. If the situation is inconvenient enough to mention, do so. Don’t avoid the proverbial elephant in the room. Empathize with the audience about the inconvenience, but don’t dwell on it. Find a solution and move forward. And if it’s only a minor inconvenience to you, but doesn’t affect your audience, don’t even bring it up. 3) It’s okay to be human. Have a laugh with your audience. Use an unavoidable disadvantage to level-set and connect with the group. We need to accept the fact that a setback will probably happen from time to time. 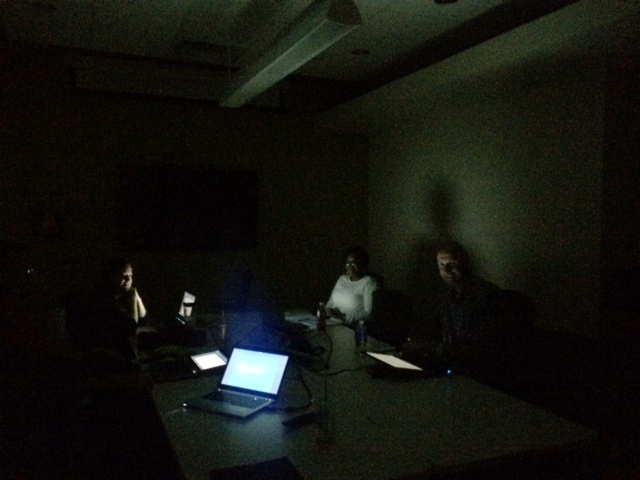 It is in those moments where we must overcome those setbacks and let our true facilitation skills shine…even in the dark. Your turn: What “setbacks” have plagued you while facilitating? How did you recover? Tell us your story in the comments! Know of someone who would enjoy this post? Be kind and share it! Don’t miss a post! New content is published every Wednesday – simply add your email address in the upper-right corner of this page to receive phase(two)learning goodness delivered to your inbox. You’ll be glad you did!